Ready to Mark Your Calendars? 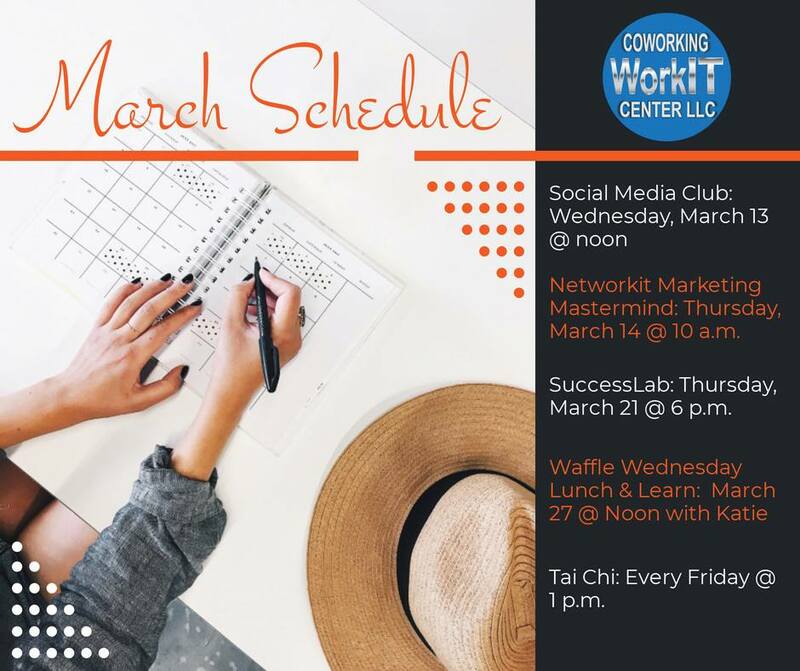 Here's the March Schedule for WorkIT! Andrew Ranson a business strategy consultant, executive coach, and professional speaker. His new company, Andrew Ranson Strategic Consulting, brings decades of executive level experience to help boards, corporate executives, and department leaders to formulate coherent and meaningful vision and strategy, and then structure the efforts needed to execute successfully. Their focus is on medium sized privately held companies (typically from $25-250M in annual revenue or similar), as well as public entities and risk pools where they have particular expertise. Look for some re-branding efforts for this new company to be launched in the near future. In the early 1990s, he joined The Boston Consulting Group in the Hong Kong office. He has also worked locally (in Oklahoma) for Giant Partners who provide strategy advice (now under the Magellan Executive Partners brand), and for Future Point of View (now TriCorps Technologies) who provide technology and digital transformation strategy services. He has more than 25 years in the field of providing strategy advice at the executive level! In addition to a bachelors in Chinese Language and Culture from Dartmouth, he has an MBA from Oklahoma Baptist University, and a certificate in Lean Six Sigma (green belt) from Villanova University. He spent 10 years as a professional opera singer and continues to sing regularly in concerts and festivals as much as he can. He also enjoys cooking Chinese food. 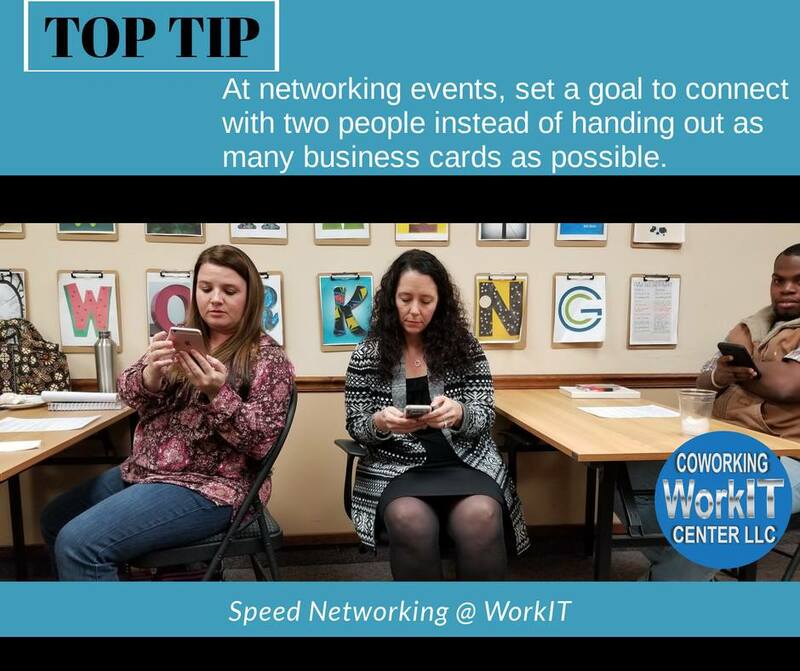 This month at our SuccessLab event, Karrie Hesser Woods gave a short seminar on networking. She provided great info on how to effectively network, and do so quickly. A ton of new connections were made for everyone that attended! 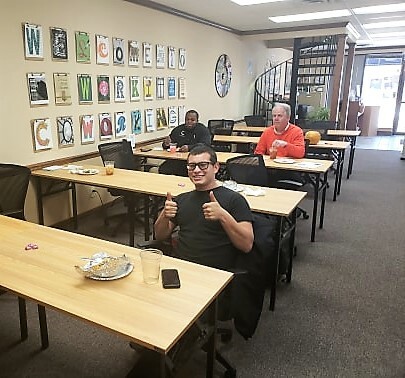 Join us every third Thursday of the month for SuccessLab events. Today, members and guests of WorkIT were treated to a wonderful presentation from Lena Greenfield about branding yourself. 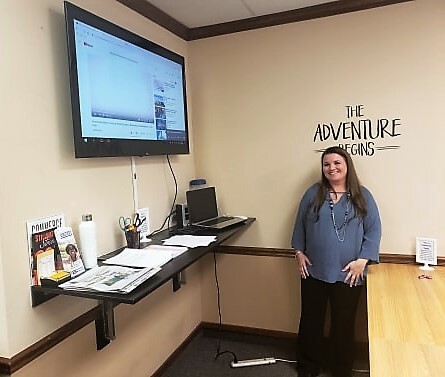 She touched on how to effectively use social media and marketing based on being your genuine self, as well as how to keep it consistent and compelling. 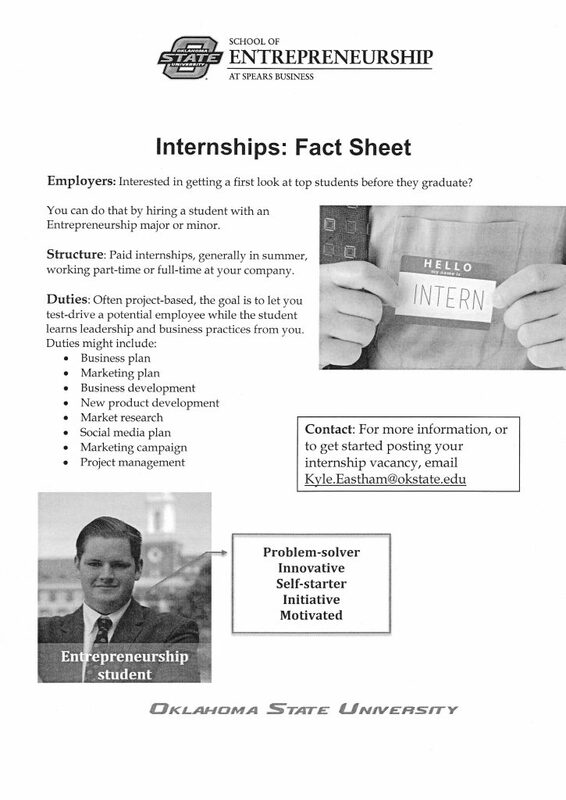 Entrepreneurship Professor Kyle Eastham also stopped by to talk to us about the internship programs at OSU, and how they pair interns with people and businesses to cultivate success for both. Drop by to find out when our next Lunch & Learn is, and how to attend! Kristen Hadley loves empowering others. She loves to learn and then loves to share what she learns. Kristen started out as an entrepreneur, opening a business with her husband in 1991. Then started her own in 1995 when her students asked her if they could hire her to do the things for their businesses she was teaching them. 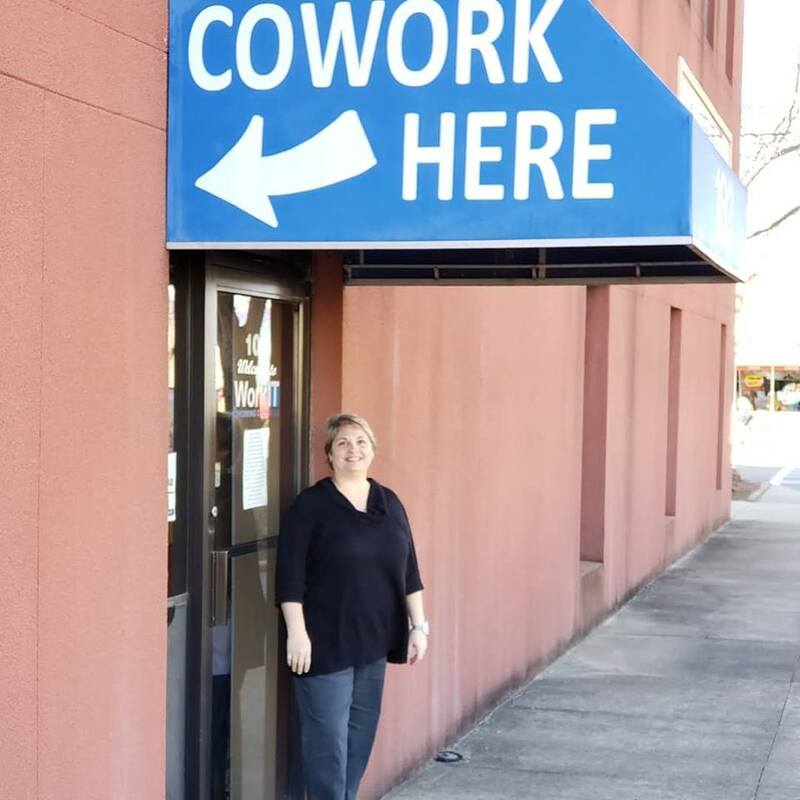 When she saw a need for a coworking space, she created it. Many businesses, small and large, have benefited from her vision. Check out her accolades! How long have you been in business for yourself? What was your biggest fear when you started your business? Failure. Having to shut down because you can't pay the bills. Disappointing people. What has surprised you the most about being in business for yourself? How super sweet the people are that I've met. That has surprised me. As a work-from-home home-school mom, from the outside looking in, business people looked fake to me. Working with them has changed my mind. They are creative and sweet. What are some obstacles you have had to overcome as a woman in business? What do other people say to this question? I don't feel like we had any major hurdles. What is your biggest success in business so far? The ability to work more remotely and visit family that live in really cool places. Soon, I am going on a 15-day cruise through the Panama Canal with family! What is your current goal with your business? My goal is to get more support from big businesses so entrepreneurs can take advantage of what we have to offer here. We want to provide flawless service to our customers. What advice would you give other women that want to enter business for themselves? Do it! Don't think twice. Get a support system.